ComputerWeekly had a really interesting article last week titled, "Should IT directors consider building their next business app on Force.com?" I personally say that the answer is "yes" but the article also gives some persuasive arguments. 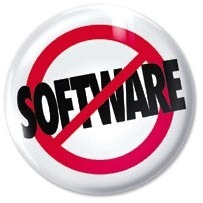 The major reasons are fairly obious to anyone that has built an application using Salesforce.com. Applications are faster and cheaper to build on the tried and trusted Force.com platform. From a programming perspective, the article made a statement that caught me totally off-guard: "The Salesforce.com programming language, Apex, is widely considered more business-like than Java or .net." I've been using Salesforce.com for quite awhile, been involved with Apex since its inception, read quite a bit about Salesforce.com, am a Java and .NET developer and have NEVER heard anyone utter a statement like "...Apex, is widely considered more business-like than Java or .net."